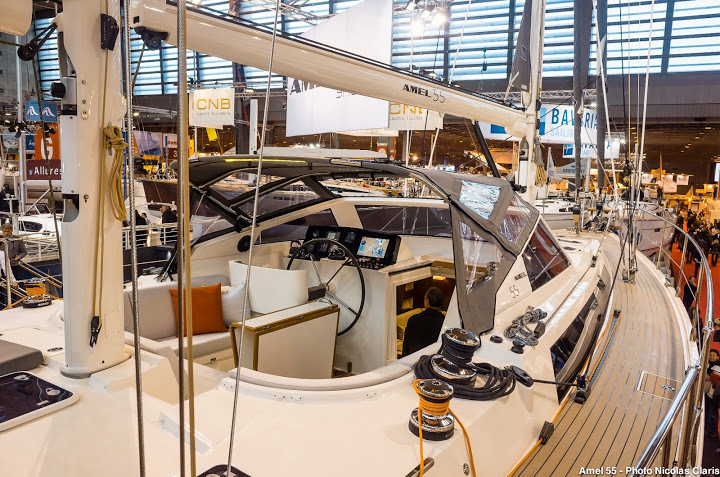 We look forward to welcoming you at the Boot Düsseldorf from January 19th to 27th with the Allures 45.9 and the Garcia Exploration 52. 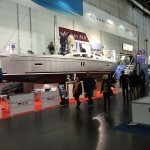 Come and meet us at Düsseldorf Boat Show, 20-28 January! 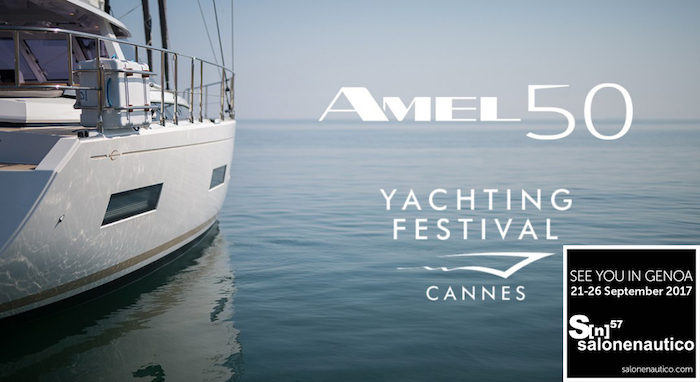 Come and join us on the Amel booth B58 in Hall 16 to discover the Amel 50, nominated Yacht of the Year in the Luxory Cruising yachts category. 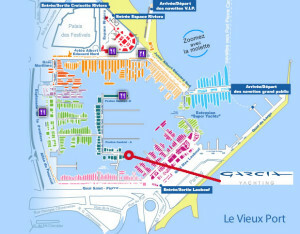 We’ll be happy to welcome you also onboard of the new Allures 45.9 – Allures Yachting – Hall 16, stand D40. In the same time, discover in world premiere the world’s first intelligent yacht by Kara Technology and Allures Yachting ! And you finally can come and meet us on the Garcia Yachting stand in Hall 16 D42 and visit the new Garcia Exploration 45 v2! You’ll also be able to discover the plans for the new Exploration 60 – our flagship yacht – and the Explocat 52, a super-strong aluminium catamaran designed for the most demanding conditions. Fino a domenica 28 vi aspettiamo al Boot di Düsseldorf ! 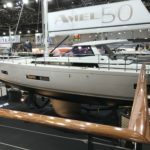 Un imperdibile appuntamento con la novità 2017 per il Cantiere Amel: l’AMEL 50, nominato per l’assegnazione del titolo European Yacht of the Year 2018 nella categoria Luxory Cruiser. Vi aspettiamo per scoprirla insieme allo stand Amel – Hall 16, stand B58. 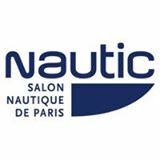 Siamo anche lieti di accogliervi sull’Allures 45.9 allo stand Allures Yachting – Hall 16, stand D40. 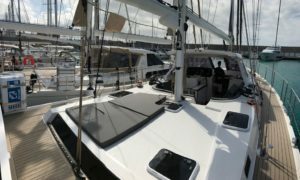 Un’occasione per scoprire insieme anche la tecnologia Kara applicata ad uno yacht Allures. 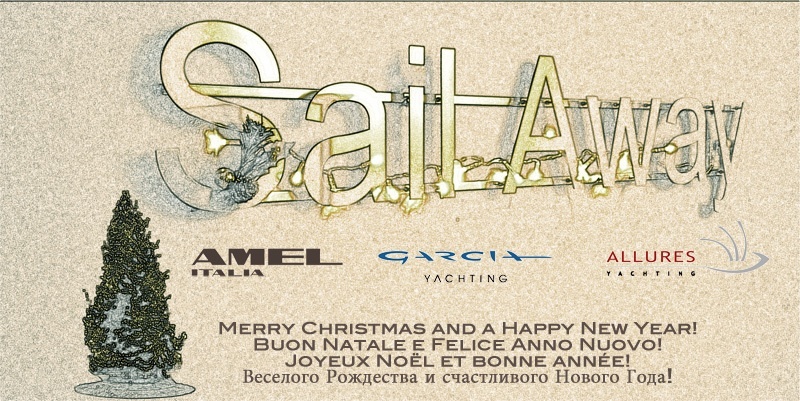 sul Garcia Exploration 45 allo stand Garcia Yachting, Hall 16, stand D42. Saremo lieti di scoprire con voi anche i piani della nuova ammiraglia Garcia, l’Exploration 60 e del catamarano Explocat 52. 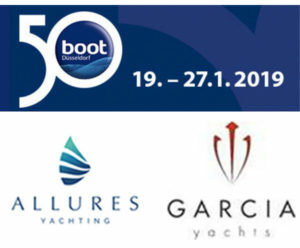 We look forward to welcoming you at the boot Düsseldorf from January 20th to 28th with the AMEL 50, the Allures 45.9 and the Garcia Exploration 45. Cari Amici, vi aguriamo un Felice Natale e un fantastico 2018! 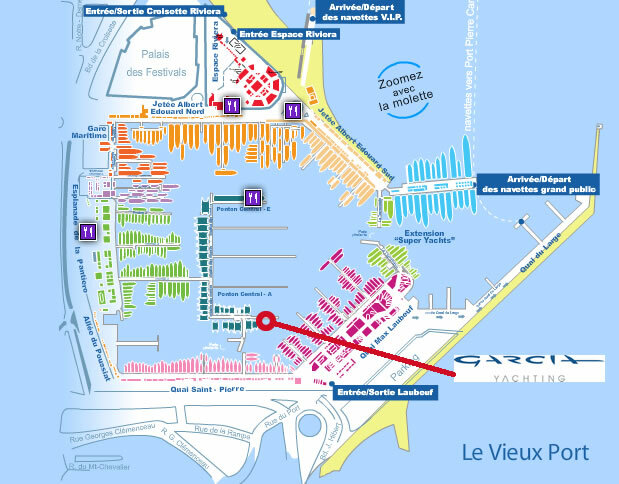 Quai Saint Pierre, stand QSP018-QSP144. 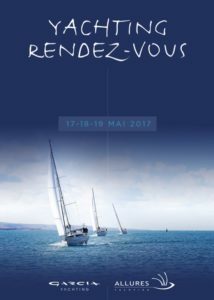 Banchina C, stand C 111.
l’edizione 2017 si terrà a Cherbourg (Francia) dal 17 al 19 maggio 2017. Durante queste giornate sarà possibile approfondire la conoscenza del Cantiere attraverso la visita delle varie fasi di lavorazione ma anche la visita delle imbarcazioni in fase si allestimento oppure già ultimate ed eventualmente provarne alcune in mare! Un’ottima occasione per visitare e provare in Toscana l’Amel 55 e l’Amel 64. Ecco qualche immagine di questo week-end trascorso a Marina Cala de Medici, ringraziamo tutti gli amici, gli armatori e i visitatori. 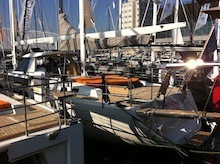 Some pictures of the Amel Open Days, an opportunity to visit and sail on the Amel 55 and Amel 64 in Toscany! 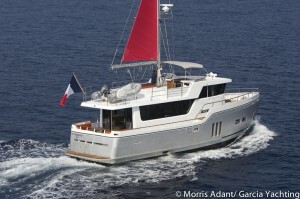 Introducing a new Amel Yacht ! 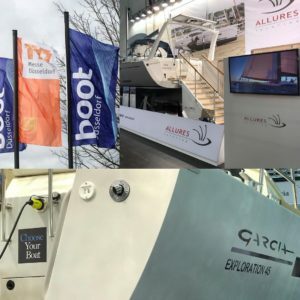 at the Grand Large Yachting stand- hall 16, stand D-40 D42 – a world premier to present you the Allures 45.9 and the last Exploration 52.
il BOOT di Düsseldorf, dal 21 al 29 gennaio. vi aspettiamo in Banchina C, stand C 145, a bordo dell’Amel 64. 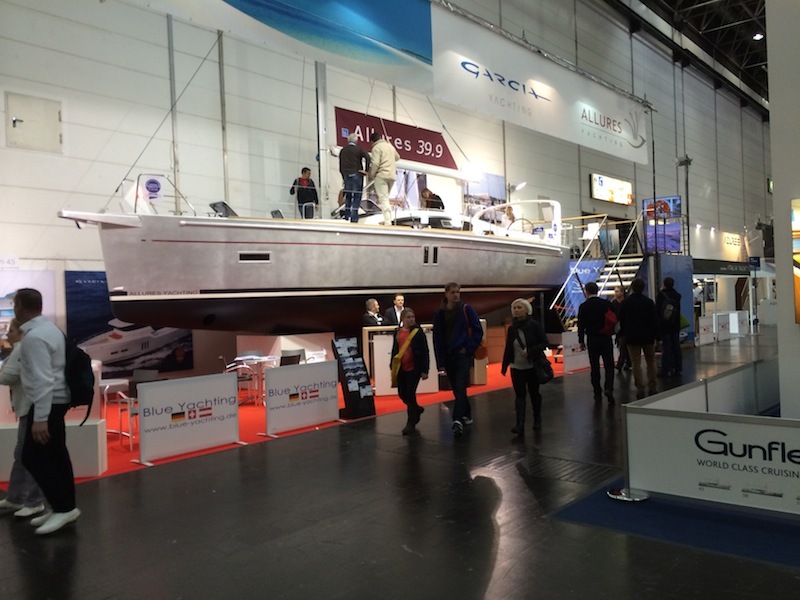 Let’s meet at the Dusseldorf Boat Show, from 23rd to 31st January 2016. An opportunity to share our passion for sailing and our projects. 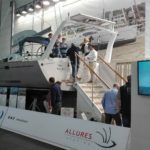 at the Allures Yachting stand – hall 16, stand D40 – to welcome onboard of the Allures 39.9 Zen version, 2 cabins and one technical room. 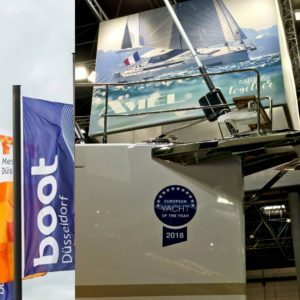 Appuntamento al Düsseldorf Boat Show dal 23 al 31 Gennaio 2016. Un’occasione per condividere la nostra passione per la vela e i nostri progetti. allo stand Garcia Yachting – hall 16, stand D42 – per presentarvi, in anteprima mondiale, l’Exploration 52, una barca disegnata per navigare e vivere a bordo sia alle latitudini estreme che ai Tropici. allo stand Allures Yachting – hall 16, stand D40 – per accogliervi a bordo dell’Allures 39.9 in versione Zen con due cabine e il locale tecnico. 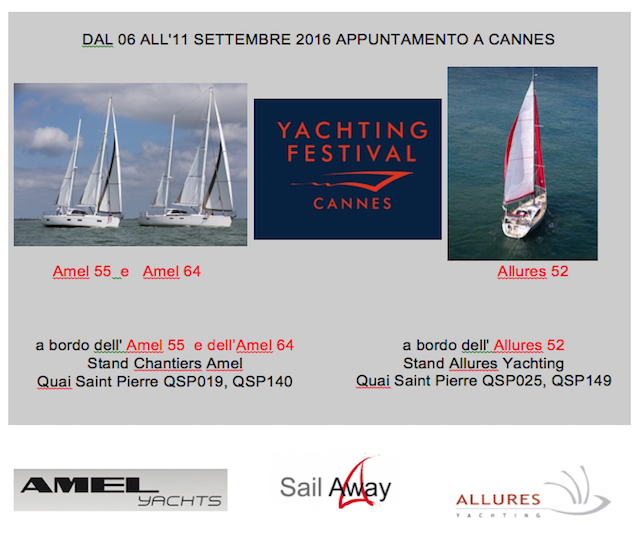 The Allures 52 will be presented in world exclusive at the Cannes Yachting Festival,dall’ 08 al 13 settembre 2015 in Quai Saint Pierre, stand QSP011-QSP122. The Allures 52 is a prestige yacht for true long-distance cruising. This new model, easy to manoeuvre and featuring a lifting keel and aluminium hull, the fruits of the unique know-how and experience acquired by the shipyard over the last 10 years, has been developed for and by yachtsmen. The Allures 52 has all the traditional strengths of the Allures range, but takes them to an exceptional level. Marine interiors combining contemporary design with total respect for ergonomics, fluidity, increased living areas, the large storage capacity and ease of maintenance are all features that have been particularly well-designed on this new flagship yacht. 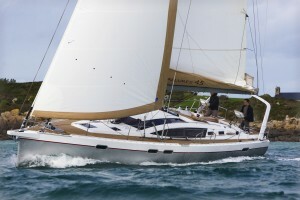 The Allures 52 n.1 will be launched into the water for the first time this summer. 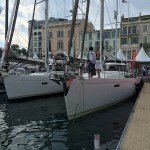 The boat will then leave for Cannes where it will be presented for the first time to the public in September. 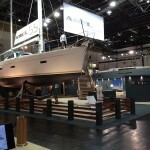 the Amel 64, 3 cabins version with white oak interiors. 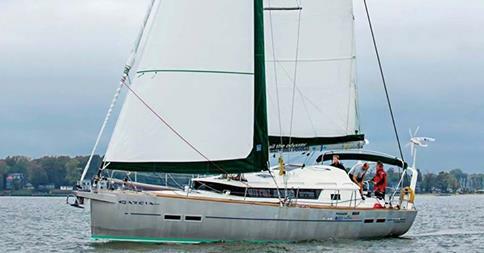 Sail Away is pleased to offer for sale this stunning Oyster 72, 2012, designed by Rob Humphreys and built in 2012, stylishly designed with her outstanding bright orange mast. Featuring excellent sea keeping and luxurious accommodation, the yacht has warm cherry wood joinery and cream leather upholstery. Three double cabins, comprising of a master suite cabin, a VIP stateroom and a bunk cabin, are aft of the saloon. The crew are forward of the saloon. 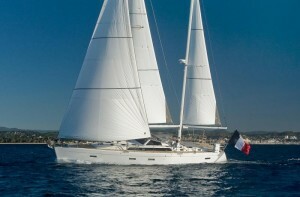 Equipment up to a luxury cruising program, immaculately mained by professional crew since new. Oyster 72 Bill and Me Photo Gallery Oyster 72 “Bill and Me” available for viewing at Velafestival 2015 in Santa Margherita Ligure – 07-10 May 2015. 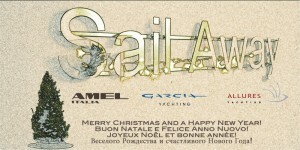 Further information on request, do not hesitate to contact the Sail Away team. Presented for the first time at the Paris Boat Show last December, the Allures 52 project is now becoming a reality. With the metalwork and quality control currently completed, the hull of the first unit joined the carpentry workshop where the interior layout and equipment will be fitted. The Allures 52 will have its world premiere at the Cannes Boat Show from the 8th to 13th September 2015. The team from the Garcia Yachting shipyard is very happy to announce that the Exploration 45 has been elected “2015 Best Boat of the Year” by American magazine Cruising World, in the category “Best Full-Size Cruiser Under 50 Feet”. We would like to thank our teams in Condé sur Noireau and in Cherbourg for the quality of their work but also our clients who have followed us and put their trust in us for many years. This second award in just a few weeks demonstrates the expertise and know-how that Garcia Yachting is proud to possess. the Garcia Exploration 45 has now been awarded by Boat of the Year in her category by Cruising World Magazine in addition to the Best Boat award from SAIL Magazine announced a few weeks ago. 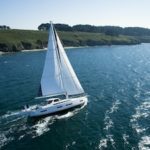 Questo secondo riconoscimento ufficiale a poche settimane da quello ricevuto da un’altra rivista americana, “Sail Magazine” come “2015 Sail Best Boat” è per noi il riconoscimento del know-how che Garcia Yachting è fiero di avere e continuare a migliorare. 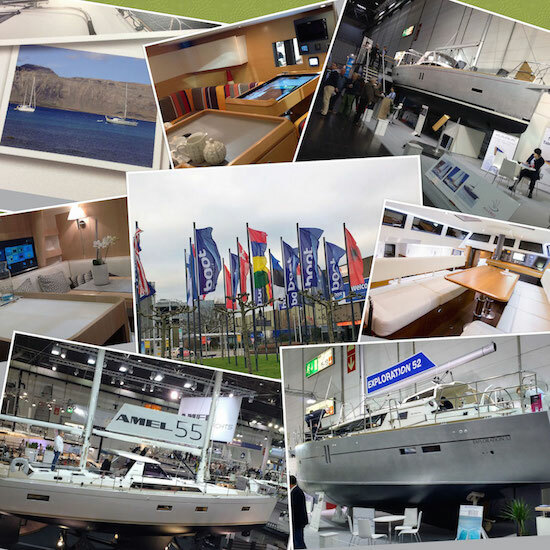 Let us meet at the Düsseldorf Boat Show from 17 to 25 January 2015. Join us to discuss about your project or simply share your sailing passion with us. You wil find us at the stand Amel – hall 16, stand B58 – to welcome you on board of the latest versione of the Amel 64 and at the stand Garcia and Allures Yachting – hall 15, stand A26 – to show you the brand new Allures 39.9 and the awarded Garcia Exploration 45. You will be able to visit the latest model in the Garcia Yachting range, the Garcia Exploration 45. Having been presented to specialist press this summer, it will be exhibited for the first time at an indoor show in Paris. Developed in collaboration with Jimmy Cornell, for his sailing trip around the world, The Blue Planet Odyssey, the Exploration 45 isis proving to be today’s cruising sailboat par excellence. 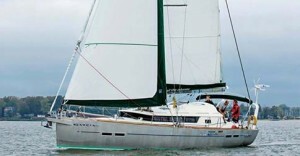 She has also been elected “Sail Best Boat” by the American magazine, Sail Magazine, in the 41-50ft Monohull Cruiser category. Moreover, the Exploration 45, is also in the running for the title of European yacht of the year 2015, in the “Blue Water Cruiser” category. Here you can visit the Allures 39.9 (Zen version) and for the first time discover the plans for the new Allures 52, whose construction of the first unit recently began. Dal 2 al 5 Ottobre 2014 saremo presenti a Varazze con l’AMEL 55 n°33, versione 3 cabine e cabriolet, ultima generazione. Questa presentazione, che avra luogo durante il salone di Genova, ci permettera di fare scoprire il nostro yacht al pubblico italiano e anche a tutti questi che vorebbero visitarlo e provarlo. In effeti, breve prove in mare sarano possibile nella zona di Varazze. 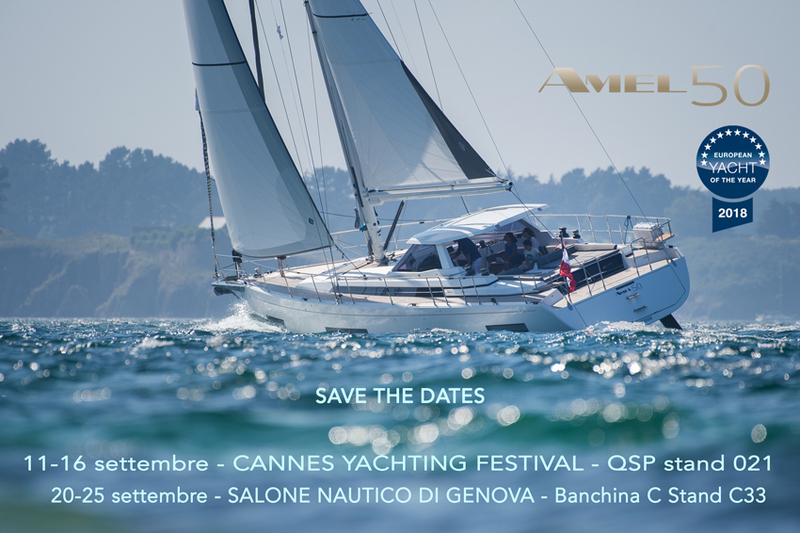 From 2 to 5 October we will present the AMEL 55 n°33 in Varazze, latest generation, 3-cabin and cabriolet version.This presentation, which will take place parallel to the Genoa boat show, will allow us to let the Italian visitors discover our cruising yacht and even have short test sails aboard in the bay of Varazze. 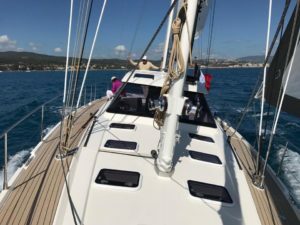 Nice weather, funny breeze and fantastic people: a great mixture that allowed us to enjoy sailing together during a long week-end in Toscany, Capraia and Elba. We thank all the friends and crews who were present, a special thanks goes to the owners of the Amel Super Maramu 2000 “Red Passion”, Lorenzo and Eleonora, for the excellent organizazion. Let us meet again in June 2015. 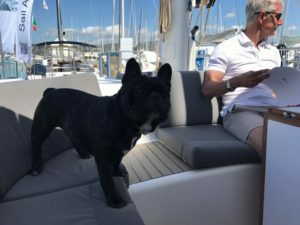 This new version was introduced on the last Paris and Düsseldorf boat shows and soon met our customers’ demand, giving them the choice between an AMEL 55 with a hardtop option (for extremely well protected navigations) or with a convertible cockpit (to fully enjoy open air). 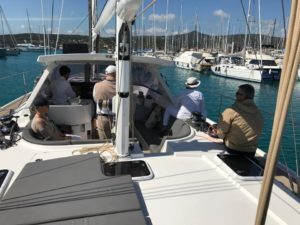 The cockpit shelter has been redesigned and a convertible version is now available, with a fixed windshield and a foldable bimini, still offering a good protection against water and sun, but with the choice to have a more opened cockpit and steering position. The aft part of the 55 also has a new design : the bathing platform is larger and now folds up to cover a large part of the transom. The steps aft are also longer. The possibility to install electric davits for the dinghy is still available. 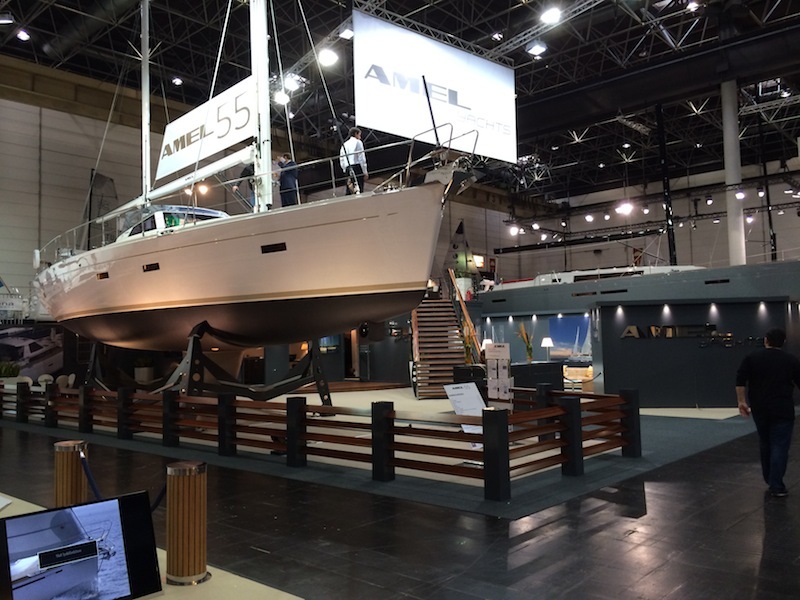 The Düsseldorf boat show is now over and we want to thank all the visitors who came to meet us and discover the new Amel 55 and the Allures 39.9. 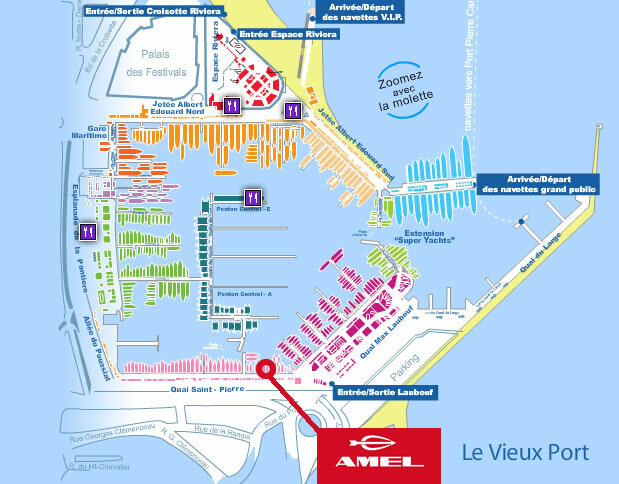 You wil find us at the stand Amel – hall 16, stand B58 – to welcome you on board of the latest versione of the Amel 55 and at the stand Allures Yachting – hall 16, stand D42 – to show you the brand new Allures 39.9. 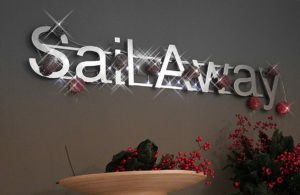 The Sail Away team will meet you at the PARIS Boat . You will find us also at the Stand Amel (Hall 1 – Stand G30) where we will be glad to show you the latest release of the Amel 55. Come and visit us, tell us about your dreams, we will hep you to achieve them. 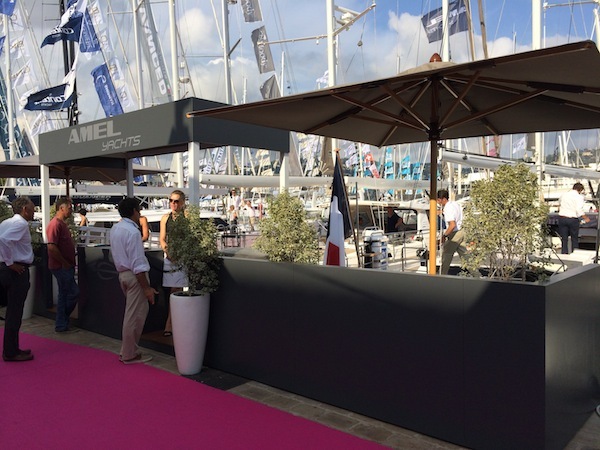 Sail Away sarà presente al Festival de la Plaisance de Cannes 2013 con due dei tre marchi rappresentati in Italia: Amel e Garcia. Nello stand Amel saranno visibili l’Amel 64 e l’Amel 55 nella sua ultima versione a due cabine. Con il marchio Garcia esporremo invece il Garcia Trawler GT54. Si tratta di una barca a dir poco incredibile, che mette d’accordo lo spirito del velista con quello dell’appassionato della barca a motore. Una delle poche barche a motore che possono fare la traversata atlantica: quella esposta lo ha già fatto due volte (andata e ritorno). Volete trovarci in fretta e senza problemi? Ecco le due piantine che potranno aiutarvi. Cari amici, Yacht Magazine ci ha appena comunicato che l’Allures 39.9 è stato nominato al concorso “European Yacht of the Year” nella categoria “Family Cruisers” con altri quattro concorrenti. Essere in questa breve lista è già un riconoscimento per la nostra Barca. I primi test condotti dalle riviste sono entusiastici. I test veri e propri per l’ European Yacht of the Year verranno condotti dalla giuria composta da giornalisti di fama internazionale dopo il Southampton Boat Show (UK) in settembre. I risultati saranno resi noti durante il primo week-end del Dusseldorf Boot (Germany) in gennaio 2014. Nello spirito che ci anima da ormai quasi 20 anni e che ci spinge sempre a cercare quanto di meglio offre il mercato per i nostri armatori, la Sail Away è FIERA di annunciare al pubblico italiano una nuova sinergia con Grand Large Yachting e meglio distinta in due grandi marchi di questo prestigioso gruppo: Allures Yachting e Garcia Yachting. Allures e Garcia sono marchi di indubbia fama nel mondo dei blue water cruisers. 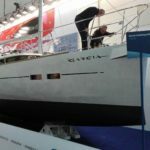 Garcia per la costruzione di prestigiose barche d’alluminio custom, da 50 a 115 piedi ma anche per il suo trawler GT 54, eletto barca dell’anno 2013. 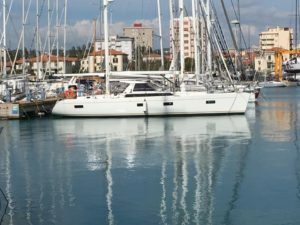 Allures Yachting presenta una gamma da 40 a 51 piedi che sa abbinare le qualità della carena di alluminio con quelle di una sovrastruttura in composito, unica nel suo genere. contenute e quella che desidera una barca grande, anche più grande dell’Amel 64, ma totalmente custom. Contattateci per ulteriori informazioni su tutta la gamma Allures e Garcia. 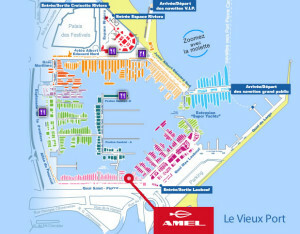 Siamo lieti di invitarvi al Salone Nautico di Genova per accogliervi a bordo dell’AMEL 55. Vi aspettiamo al Marina, Banchina D, stand D 11. Il Salone è aperto da sabato 6 a domenica 14 ottobre dalle ore 10:00 alle ore 18:30. 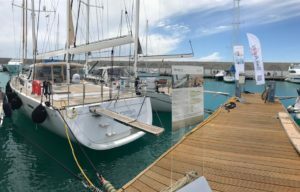 Un giorno a bordo del nuovo Amel 55, il ketch che porta avanti e modernizza la tradizione oceanica del cantiere francese…. Il sito Sail Away si è rinnovato. Voglia di rinnovamento, di toglierci il sale da dosso, di riproporci in una nuova veste grafica semplice ed accattivante. Barche, nuove e d’occasione. Barche, con la “B” maiuscola, perché non si tratta di semplici occasioni o usati, ma sono una vera selezione di ciò che di meglio il mercato può offrire in quella fascia. Ma il nostro impegno vuole andare oltre: inviateci i vostri suggerimenti, le vostre critiche; ne faremo tesoro, grazie a voi daremo un ulteriore impulso al miglioramento.